May 17, 2016, 9:53 AM · In an effort to promote the coverage of live violin performance, Violinist.com each week presents links to reviews of notable concerts and recitals around the world. Tessa Lark performed the Dvorak with CityMusic Cleveland. The Plain Dealer: "Lark played with a maturity beyond her 26 years, and her navigation of the sprawling structure of the linked first and second movements showed a fine understanding of the composer's dramatic intent....As an encore, Lark, who hails from Kentucky, eschewed the usual Bach solo violin movement and instead kicked off her shoes (literally) and offered a classic American folk song, 'Do Round My Lindy,' which she sang as well as played, followed by a fast fiddle tune that had the audience clapping along." Frank Peter Zimmermann performed Bartok's Violin Concerto No. 2 with the Cleveland Orchestra. The Plain Dealer: "Like his hosts in the orchestra, violinist Frank Peter Zimmermann met his Bartok head-on, and complemented them with a blazing, expertly-polished statement. Crafting anything cohesive out of Bartok's second violin concerto is no minor feat. A work of staggering complexity and unpredictable temperament, the 1938 opus makes mincemeat of all but the most accomplished soloists. Count Zimmermann in that class. From his hands, the concerto emerged the musical equivalent of a mysterious friend, a creature alluring and often rewarding, but ultimately unfathomable. Vadim Gluzman performed Prokofiev's Violin Concerto No. 2 with the ProMusica Chamber Orchestra. The Columbus Dispatch: "Gluzman was as much fun to watch as to hear in the concerto's finale, a rock-n-roll allegro full of dance-like vim and funky rhythmic play. He gave Prokofiev's foot-stomping main theme plenty of juice — as well as a few actual foot stomps and at least one little jump — and ate the technical passages alive. At the end, the audience, too, did a little jump — to its feet." 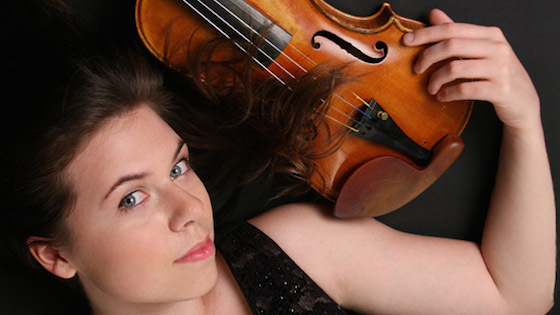 Lara Trotovsek performed the Mendelssohn with the Chamber Orchestra of Philadelphia. Philadelphia Inquirer: "...a reading that began in a business-as-usual fashion but connected increasingly with the music, shading the concerto with darker colors and bringing out other dimensions to the composer's ardent spirits. She's an emerging voice to watch. The performance didn't blaze (Mendelssohn is too polite for that) but clearly smoldered." Richard Tognetti performed Mozart's Violin Concerto No. 5 with the Australian Chamber Orchestra. The Sydney Morning Herald: "Richard Tognetti's (performance was a) characteristically imaginative, and elegantly well-tuned performance of Mozart's Violin Concerto No.5." Midori performed the Tchaikovsky with the Fort Worth Symphony. Fort Worth Star-Telegram: " she was in particularly good form Friday night, producing beautiful, accurate tones and, in league with Miguel Harth-Bedoya and the orchestra, creating a musical drama that seemed to lift the familiar concerto to new heights. Theater Jones: "Her playing is capable and the audience clearly loved her Friday, but she is no longer the phenom that she was in her teenaged height. Her left hand is not perfectly reliable: she dropped some notes and missed some shifts in the gnarlier passages of the first movement of the Tchaikovsky. Her bow control is still exemplary, however, and her playing is fierce, if not as emotionally gripping as it could be. Still, she is always worth hearing. As is the Fort Worth Symphony. With the ongoing negotiations between management and the musicians— you can read about it here — it's time for supporters and the city to rally behind this treasure." Park Ji-hae performed works by Beethoven, Monti and Vivaldi, in concert. Korea JoongAng Daily: "Korean-German violinist Park Ji-hae may appear meek and quiet, but when she has her violin, she rocks." James Ehnes performed works by Handel, Beethoven and Tovey, in recital with pianist Andrew Armstrong. Calgary Herald: "....without a doubt Ehnes possesses this indefinable magnetism that enables his music making to penetrate the hearts of his listeners." 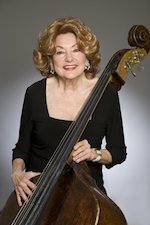 Atlanta Symphony Orchestra bassist Jane Little passed away at age 87, during a performance. She was recently featured in The International Musician (the American musicians union magazine) and was said to be the longest tenured orchestra musician in the world. Chicago Tribune: "'She seemed to be made of bass resin and barbed wire, she was unstoppable,"' bassist Michael Kurth, who was playing next to Little when she collapsed, told The Washington Post."